I have it. Will digest it tonight. So I'm reading this thread. I see what folks are saying. I get all excited thinking I'm going to pull the trigger on one of these. I go to beemerboneyard.com and they are out of stock for my R1150GS. Any idea when they will be available again? I must have purchased the last one less than a week ago. The Husqvarna tr650 ecu reset. Disconnect the battery for 30 minutes. Reconnect the battery. Should hear the dash click with power supplied. Turn the key on, wait 5 seconds, turn throttle from idle to wot slowly 3 times, turn ignition off. Turn ignition back on. Do not touch throttle and start bike. Let the bike run until the fan turns on. The sensors should be reset. It made a huge difference when starting the bike. It was hard to start and required a lot of cranking. Now the bike starts almost immediately. Thanks for describing the process. I'm not aware whether the BMSK has that "learning interval" or not. There are several things that can be done at that time, including learning O2 sensor heater resistance and idle stepper motor positions if they're there. I'm sure Mike at Beemerboneyard will chime in, but I asked him yesterday and he said that sales were running ahead if forecast. Nightrider has a professional manufacturing organization that I'm sure will adapt to demand. When do you plan to install it? Sales have been brisk and we have had a hard time keeping them in stock continuously. Steve @ Nightrider is ramping up production to handle the extra demand. We have 1150 units heading our way as we speak and they should be back on the site and orderable later today or tomorrow. Thanks for your patience. As soon as I receive it. This past weekend, we had a heatwave (40<c under="" the="" sun).="" not="" only="" it="" wasn't="" good="" for="" engine="" cooling="" (r1150gsa),="" but="" leaned="" out="" mixture="" (warm="" air="less" dense="less" oxygen).="" didn't="" like="" and="" ran="" even="" leaner="" than="" usual,="" because="" was="" lean,="" hotter.="" i="" burned="" a="" lot="" of="" oil,="" very="" clunky="" when="" i'd="" stop="" (most="" likely="" caused="" by="" timing="" chains="" enough="" pressurized="" thin="" oil). °C under the sun) and the engine ran very lean. Oil was way too thin, both from the lack of cooling and the hot lean running. I burned a ot of oil while the engine usually barely burns oil, and the thin oil couldn't pressurize the timing chain properly (I assume), engine was clunky at idle after a stint. Its worth the wait- my 1150GS has never run better!!!!! I received mine from the boneyard and installed it right away. Set at 7 blinks for now. I'm on the third tank and loving it. Good bang for the buck! Thanks! Glad to hear skybo1 and Roy. Happy you guys are pleased with the units. I haven't found too many reports of people who have installed this on their wethead 1200GS, so here's my contribution. I just got mine delivered and installed today. Shipping was quick, I think I placed my order less than a week ago. 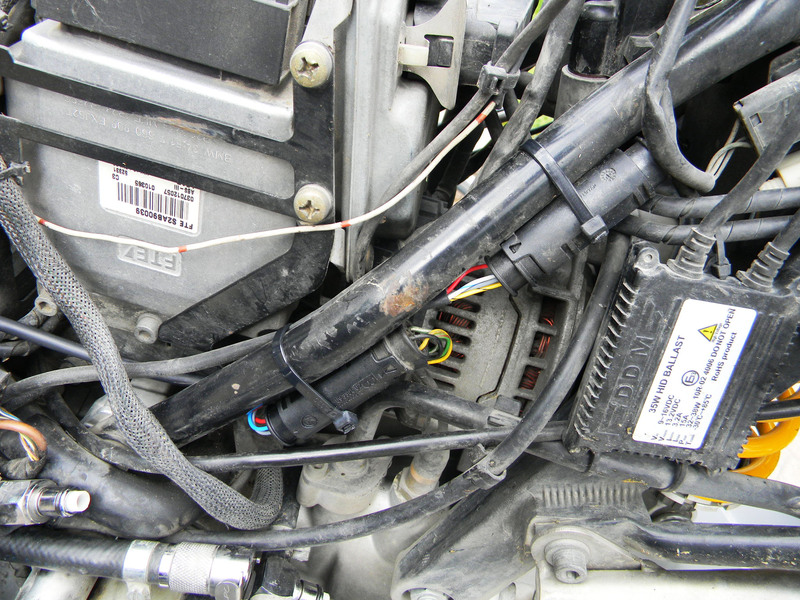 The install was a bit clunky only because you end up with a second set of wires and connectors down where the O2 sensors are on the new GS. I'm not sure where they are on the old GS bikes, but on the LC, the left side connector is down by the kickstand and I had a hard time keeping the wires organized and away from the sidestand springs. I tucked both control units behind the trim on the left side of the bike, opposite the panel that you remove to get access to the battery. I had a hard time finding a decent chassis ground spot, so I went directly to the negative battery terminal. I read somewhere else that doing so shouldn't be an issue on the BMW bikes. Either way, the install took me about an hour to get everything connected and tucked away as neatly as possible. After that was done, the next step of course was to go for a test ride! I only have time for a few miles, so we'll see how things change as I go through a few tanks of gas. I am absolutely blown away at how much better the bike feels. I can now cruise at 4000 RPM without feeling like I'm riding a rocking horse. It's steady as can be at all RPMs and it doesn't buck or gurgle when decelerating or using engine braking. I'm also able to shift more smoothly now that the throttle response is more predictable. To me, this is not only a comfort modification, but a safety modification as well. I understand that BMW's hands are kind of tied due to emissions regulations, but occasionally the bike would buck when decelerating using engine braking into a downhill turn with the throttle all the way closed. I'm not sure if somehow I was twisting the throttle without realizing it or if there was something else at play, but in either case, it doesn't seem to do it anymore after adding this mod. It's much more predictable and I feel safer riding it knowing that my inputs to the throttle will be the only thing to change the engine speed. I can't wait to get out and get some more miles on it! So looking forward to the one I just ordered!! 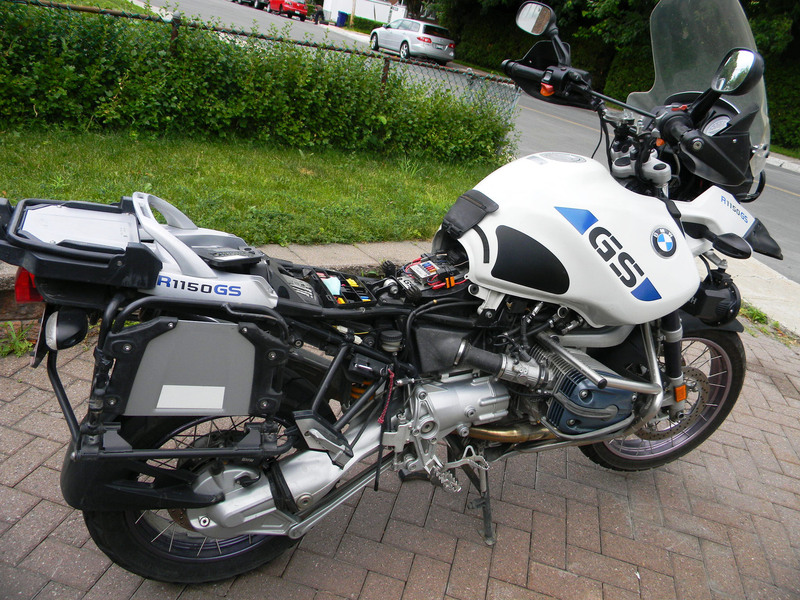 The bike is a 2006 R1150GSA SE with 115,000 miles. 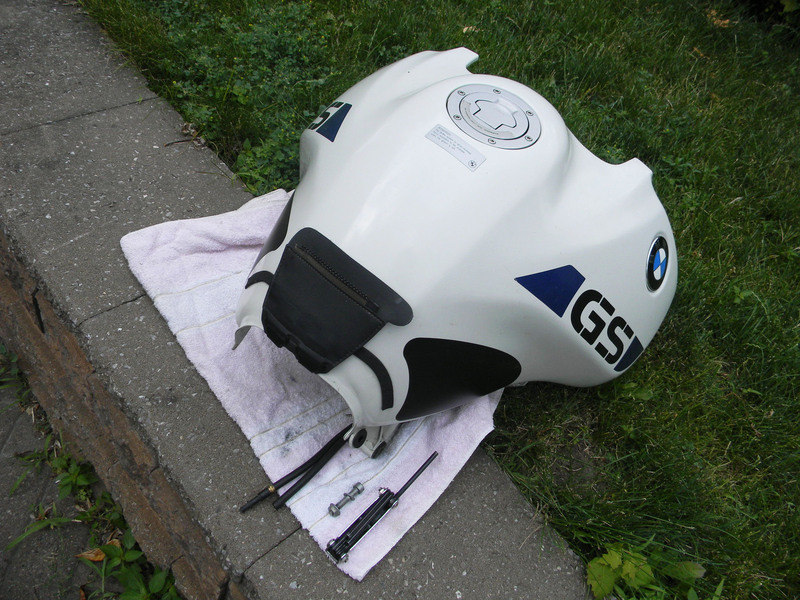 Process of the installation might differ on older R1150GS. The whole process from start to finish is about 20 minutes. Removal of saddle, plastic side panel and tank required. The tank was half full and not too heavy. Route the loom toward the back. I grounded the black wire directly on the battery. Refit the tank. Connect the module and set it to 7. I had previously pulled fuse #5 to reset the DME. So now is the time to put it back, close the fusebox lid, turn the key on and sync the TPS. You're done. Same as me on my 03 1150GSA. I recently did a 6200 klm trip into the US May/June & was very impressed with the low end torque & how smoother the engine was & I average 6 Ltr / 100Klm. Unit was at 7. I have just lowered it to 6 to see how that works. EDIT: Just got back from an 1825 klm ride from Home to Great Falls for steak (that's another story) but just checked my fuel usage & it is the same with the unit set a 6. I got 6 ltr/ 100klm. Maybe slightly less pull when cranking the throttle, but that is most probably me. Installation was, interesting. After I figured out that the "missing" plugs w/prongs were inside the connectors in the kit. Obviously placed there to protect the prongs..duh! All previous IAT devices removed. #1 The ground wires are perhaps 13 feet in length . 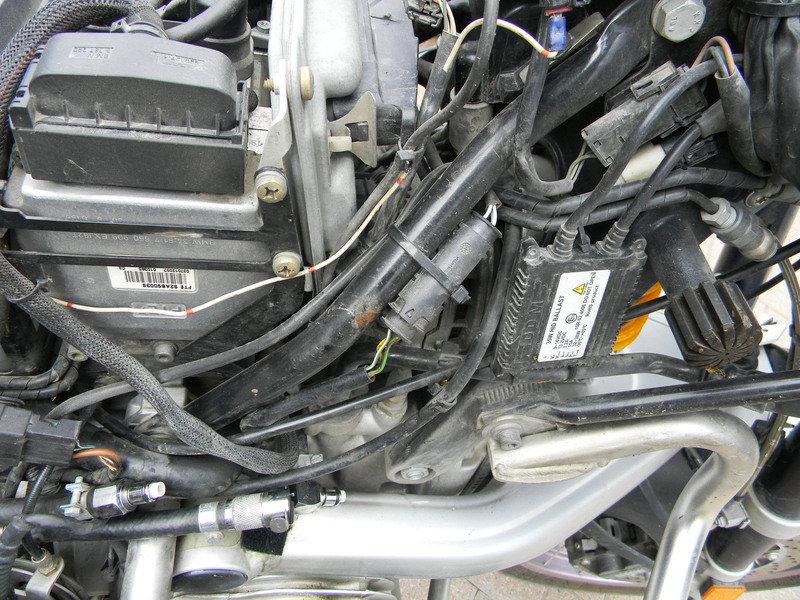 I ended up, for now, coiling and wire tying them near the negative battery terminal where I attached them [2 of everything on my bike = 2 oxygen sensors]. If they are not some type of special wires/connectors, I will shorten them in the future. #2 Since I have Advrider add on crash bars for the cylinder heads, the additional connectors tucked perfectly behind the horizontal bottom bar of the crash bar. Out of the way, protected and with minimal bending of wires. Used many wire ties to secure all wiring. #3 Used Roger's idea of Velcro attachment of controllers to back of gas tank, above battery and under seat. Easy to get to and protected. #4 When key is in the "On" position the units power up and I get 7 flashes. All was good. #5 Even when cold, the bike started quickly and an immediate slow rolling on of the throttle did not cause the engine to stumble. First ride yesterday was 101+ miles of dirt and gravel road. Elevation 3,900 to 6,200 absl, ambient temp 65-82 F, average speed 35 mph and 47 MPG. I was mainly in 3-4 gear with some 2 & 5, plus a little time in 1. Speeds from 5 MPH to 60 MPH, cruise mainly at 40/45 MPH. High desert/forest. #6 No rocking horse, on-off throttle transitions. Sweet. Smooth accelerations and decelerations [no popping] without drama. Picked up RPMs quickly in a linear fashion and the torque seemed to be seamless. It pulled strong. And accelerated like a "stripped ape"; way too easy to break the back loose when grabbing a handful at speed on dirt even with TKCs ...fun! #7 Engine temp. Three bars even when I stopped to whiz and left it running. Once after a long stop, it went to 4 bars but within two miles went down to 3 bars again. Never any "death rattle" [pinging] when starting from a stop or purposely lugging motor. Sure hope when I find 90-100 F days that this trend toward running cooler continues! [Redline 20-50]. Cooler cylinder temps was a big reason that I wanted richer mixtures; I hate abusing a motor. All of this is of course subjective; hopefully time will verify the improvements I observed. If the adaptive ability of all that computer brain power buried in my bike finds the AF-XiED to its' liking then maybe these improvements will just get better over time. But for now I am a very happy camper. Thanks Mike, Roger [for answering my endless questions] and Nightrider. Great review, thanks. Yes, you can shorten the ground wires, no special wire there. After a tan full or two Ty #8 and see how you like that. Let us know how it goes in the hotter temps too. I've looked at the schematic. Power for that circuit is the main on/off controlled by the ECU so once on, it stays on. 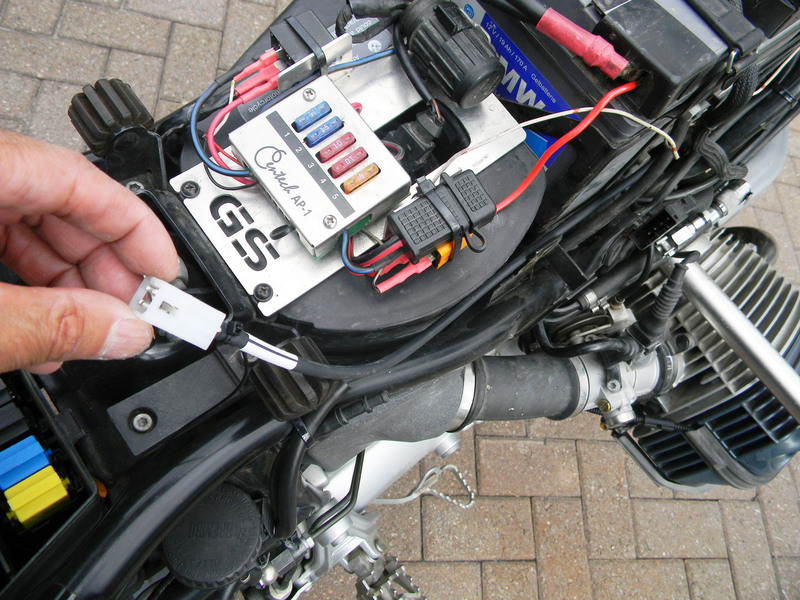 Could you or Baddrapp unplug the XIED from the motorcycle harness, then start the motorcycle and measure the voltage on pin 4 and then pin 3? Pin 4 should be about 450 mV and Pin 3 should be about 0 volts. I'm saying about because they might be a 100 mV or so different, or possibly more. Roger, what was the purpose of this inquiry? Just curious. 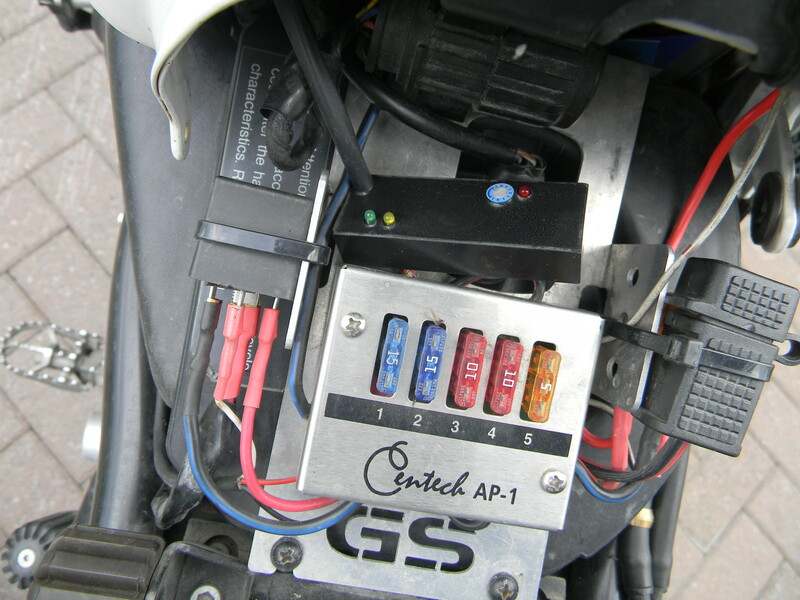 I installed one of the AF-XIED devices on my bike which seemed to always need two or three starts to get it running from a cold start. 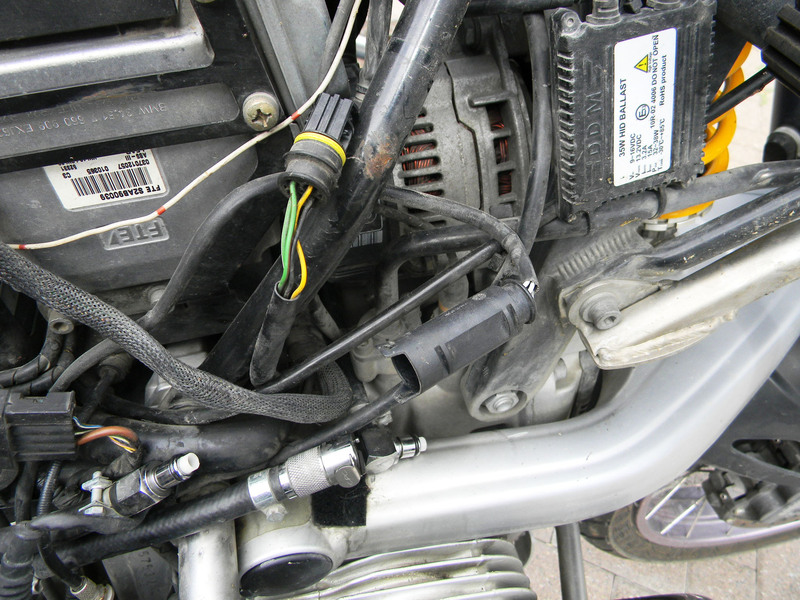 On the first cold startup the bike started without the high idle lever and idled smooth with no smoke. I will ride it tomorrow. Edit; I rode the bike and as the others have said the device adds torque and smooths the engine. A 45-55MPH throttle roll-on in 5th gear produces a huge torquey lunge up to 70MPH very quickly without the need for a downshift. I can now leave a stop light in second gear without fear of stalling the engine at the same RPM as i used to in first gear and not anymore clutch slipping than before is required. The throttle lag i previously noticed when exiting a city street corner is completely gone. When the engine hits it pulls with certainty. It used to hit with a vague feel forcing me to leave a finger on the clutch lever. I like this device it seems to work very well. I have it set at "8". I may go to "7" to see if i get a satisfactory engine response while using less fuel. Edit 2; Balanced the throttle bodies and set the device at 7 today before riding it again. I think i like the 7 setting better than 8. Setting 8 produces lots of torque but it makes the engine feel like its running rich. Not blubbery rich but rich enough that the engine sounds and feels rich and like it is at the beginning feel of too rich. Setting 7 seems to not lessen the torque feel of setting 8 but it makes the throttle feel crisper. Wow! I finally feel happy with this bikes performance character. I am not sure if i want to install the Rocket sprockets now. While i think they will be easy to install i'm pretty happy with the current engine performance. Thanks for the recommendation Roger and Mike. This product performs as you said it would.